With the average high altitude of four thousand meters, Tibet is like a shining pearl scattered in the west of China. With mirror-like lakes, snow-capped mountains, splendid monasteries, and temples, the Tibet tourism industry has a rapid development in recent years thanks to the convenient transportation. As a part of international travelers who plan a tour in Tibet, more and more Americans head to Tibet to explore the unique Tibetan traditions and stunning natural views. But due to the high altitude, the changeable weather in Tibet, and unique political reasons, traveling to Tibet from America is not very easy. 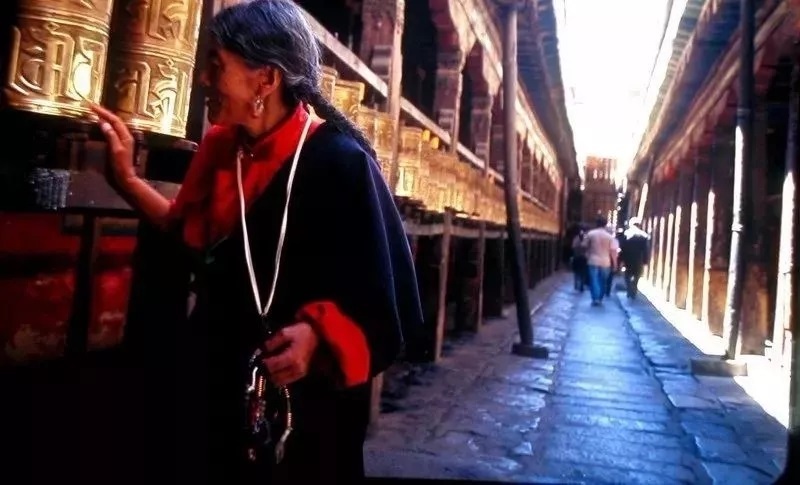 In order to help you have a wonderful time in Tibet, we Great Tibet Tour collect a lot of documents about how to plan a Tibet tour for Americans. Everest Base Camp: Located in the second largest prefecture in Tibet, Everest Base Camp is a must-see place for travelers. Because of the perfect location, you can witness the grand Mt Everest. The sunrise of Mt Everest is stunning and attractive. Namtso Lake: As one of the holy lakes in Tibet, Namtso Lake attracts thousands of travelers every year. It is said that Namtso Lake is the incarnation of a Goddess in Tibet who was waiting for her beloved one. Mt Kailash: As the holiest mountain in the world, Mt Kailash is regarded as the center of the world by Buddhism, Hinduism, and Bonism. Every year, a great number of pilgrims from remote areas and other countries plan a Kailash Kora tour for the purpose of seeking blessings from God. According to the legend, taking an Mt Kailash kora tour can get rid of all the sins and miseries for the whole life. Potala Palace: As the landmark of Lhasa city, Potala Palace is the primary scenic spot for you. In the past, it was used as the winter palace for Dalai Lama. Now, it has become a modern museum. Wandering in Potala Palace, you can learn much about Tibetan history. Jokhang Temple: Jokhang Temple is regarded as the holiest temple in Tibet where hosts the life-size image of 12-year-old Buddha. You can see lots of pilgrims in this sacred temple. Sera Monastery: Built in 1419, Sera Monastery one of three famous monasteries in Lhasa. The highlight of Sera Monastery is the hot Buddhism debate which is held in the afternoon. Watching the Buddhism debate is the best way to know about Tibetan Buddhism. Besides those things to do in Tibet, there are some other things you need to explore by yourself. Most Americans will get to Tibet from China, so they have to apply for a Chinese visa in advance. This visa can be applied by yourself in your own country. For those who get to Tibet from Nepal, you should hold China Group Visa which can only be handled by a local tour company. Tibet Travel Permit is the most important permit which Americans should hold no matter you enter Tibet from China or Nepal. And it can only be applied by a local agency.